Can't attend? Follow WITHIN: Art, Science, Beauty & Well-being of Nature to know of future events! This is my second botanical art course of 2018 following the fully-booked course in Jan/Feb. So I hope you can join us for the second season. 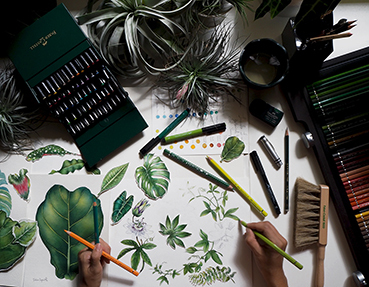 You'll be learning how to create botanical art in pen and watercolour in a series of four weekend workshops. Drawing recent experiences from my professional development course in botanical illustration at the Royal Botanic Gardens in Kew, UK, I want to share the intimate creative process of the botanical world with you and show you how to create botanical art in three distinctive styles: pencil shading, ink using stipple method and watercolour. 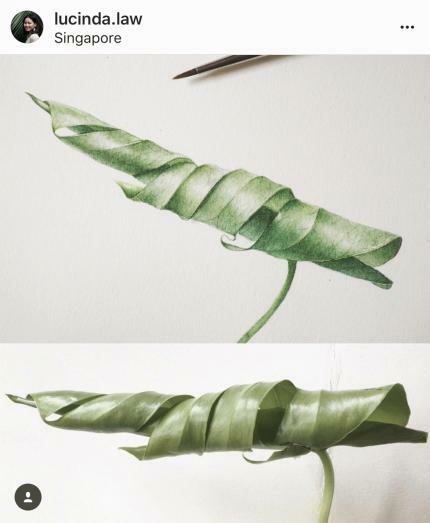 Each week, you'll be guided on how to improve your art techniques from a botanical artist's perspective, using live botanical subjects as the basis of your practice. 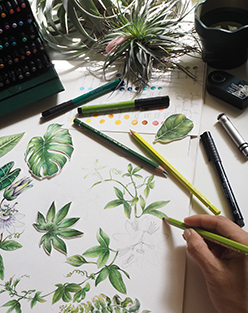 This course is ideal or beginners or watercolour hobbyists who wish to learn about the world of botanical art and how to foster a holistic art practice with plants and nature. This special course takes place at Within studio on 4 Saturday mornings on 17 March, 31, 7 and 14 April 2018. I will take you on easy-to-follow demonstrations and guided one-one-one tutorials to create detailed botanical artworks. - Botanical materials are provided. - A basic art materials set is provided and you may be asked to bring additional materials as we progress. *Missed workshops are non-refundable unless they are cancelled/postponed by the instructor. Bookings: 12 seats tend to sell out swiftly, contact go@within.sg for more info.